As the year closes, some elite travelers book unnecessary trips or hotel nights to maintain or “level up” their status. Some argue that status is just priority boarding and upgrades that don’t clear, causing irrational expenditure. But elite status is about more than upgrades. There are some folks that really shouldn’t chase elite status. Casual travelers flying/staying more than entry-level elite requirements but well short of upper-level status should probably not push for more. There isn’t really enough benefit in chasing toward status further. Southwest frequent flyers that might be close to A-list should pursue it, but there is a 75,000 point difference between A-list and the next meaningful level, Companion Pass. National Car Rental has an amazing loyalty program, even basic members have access to at least pick a car of their choice. However, the gap between Executive (you get to pick from an even better selection of cars) and Executive Elite is massive (60 more rental days per year) but the value is minimal. While there should be Executive Elite aisles, there just aren’t. You’d be better off hitting Executive status and switching to the competition just in case you have to book with them. There should be a meaningful enhancement to your travel experience at the next level and you should plan on traveling enough for that benefit to deliver value in the next year. For all that I disagree with this post on status, we agree that status running isn’t for most. For airline loyalty, there are really just two sweet spots in which most should pursue running for status or engaging in the seemingly irrational behavior of flying, staying or driving when you don’t have to. That line of distinction is just before the entry-level elite status or within striking distance of top-tier status. If you have 22,000 elite-qualifying miles on Delta, United or American there is a good business case for earning those extra few miles. At the top of the pile, the difference between being Platinum Pro with American and an Executive Platinum is dramatically different. While each chain is different, sweet spots exist for hotels too. In particular, Hilton has one of the best middle-tier elite programs in the business. At Hilton Honors Gold level (20 stays or 40 nights) breakfast is included and guests earn dramatically more points (18 per dollar spent) compared with just 12 per dollar for Silver. You’re also going to get space available upgrades, bottles of water in the room, and other perks that aren’t available prior to this level. For casual travelers, 20 stays might be a stretch, but for business travelers, less than two stays a month should be a breeze. Starwood (SPG) now part of Marriott used to have a top-tier status earned at 50 nights. Most of those benefits are still in place in the new combined program (though execution lacks), but with their new credit card program (15 elite nights just for having the card), excellent benefits are available (on paper) at 35 nights in Marriott/SPG properties. There are plenty of travel bloggers that will write ten-part series about which status to go for and why. In fairness, TPG does a great job of providing value for each individual status level within the programs. The problem when you talk about the benefits you receive with status levels is that those benefits don’t always apply. For example, with American Airlines, same day flight change is subject to availability but must be on the exact same route in the exact same fare class; not really a benefit at all. How much are American Airlines system-wide upgrades worth? To some people, nothing at all. How could that be when the difference in price from coach to business class can be thousands of dollars? Because carriers like American Airlines make them impossible to utilize in advance, the same goes for United’s Regional Premier Upgrades. A benefit you can’t use is no benefit at all. Despite the limited use of some benefits, many travelers weigh them heavier than they should. Select-service hotels (Holiday Inn Express, Hyatt Place, Hampton Inn), a free breakfast that usually requires Hyatt Globalists to stay 60 nights, Hilton Honors members t0 stay 40 nights or IHG members… never because they hate their elites – in fact, are not an elite benefit at all. Free breakfast to those elites is worth nothing because they are free to any guest in those hotels. The real benefit is the cheat code that elite status has become. As prices drive lower and lower (especially on the airlines) and benefits are diminished for elites, more and more traditionally loyal travelers are playing the field. 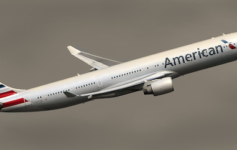 American Airlines has stated that 83% of their guests will fly them once per year. Why is Hyatt willing to give any basic member free breakfast at Hyatt Place and any National Emerald Club member a guaranteed upgrade just for joining? Because so few of those customers come back even once. Those that come back enough to hit an entry-level tier should get something for their custom. Forgetting for a moment the benefits that may or may not deliver value to travelers, I find more value in being able to get preferred service when something goes wrong, either for me or the travel provider. On more than one occasion, I have been able to get small mistakes forgiven, miles refunded, trips canceled outside of the cancellation period. Priority phone lines are better than priority boarding lanes and late checkouts/early check-ins can be better than clearing a suite upgrade. Having elite status alone can be enough to bring a better experience to travelers and that is worth something. Do you find value in elite status outside of upgrades and headline details? Should everyone just go free agent? This is always the answer. For instance, I’m Hilton Gold. I recently had a week long stay at a Hampton property where there are, essentially, no benefits for an elite. I had a number of issues with my room which were unfixed during my stay and I couldn’t be easily moved because the property was fully booked. I expressed my dissatisfaction with property management upon checkout and got a fairly brusque response, so I contacted Hilton directly to express my concerns with my stay and with the property. Managed to snag a not insignificant number of bonus points as an apology; points I’m sure I’d not have gotten were I a blue or even silver member. 1. Better phone customer service (your point). 2. Waived fees when booking or changing award tickets. I’m able to use all my Upgrade certificates as a 1K on United, and also appreciate being able to choose E+, but I wouldn’t take a flight I didn’t want just to earn it. In my experience, paid J and F are treated just as well as status elites. – Perhaps not your intention, but I’d say advocating a mileage run just to acquire low-level airline status isn’t the best example. The reality is, you can get most of what what the lowest tier status entails just by spending $95 on a co-branded credit card. Given the revenue-based earnings systems, there’s no way you can obtain a few thousand EQMs for that price. All you really miss are the theoretical chance at an upgrade (maybe slightly better than zero, but not much) and a “priority” customer service number. As someone who held AAdvantage Gold status for a few years, I can tell you it’s not really much better than AAdvantage Peon. Now, if you’re a few thousand EQMs away from, say, moving from Gold to Platinum or Platinum Pro to Exec Plat, that’s a different story and you’ll hear no argument from me. – This whole hotel loyalty argument still begs the question, is the extra money you’re spending really worth the perks? By your own estimation, you spend an extra $1,200-1,500 a year maintaining Globalist status. The road trip I just took with my family came in cheaper than that. For most, I’d argue this is all a zero sum game – if you’re going to spend that much mattress running, it’s coming out of your budget somewhere, likely your travel budget. To me, at least, two vacations in regular rooms where I have to buy my own breakfast > a mattress run and one vacation with free breakfast and a non-guaranteed shot at a nicer room.